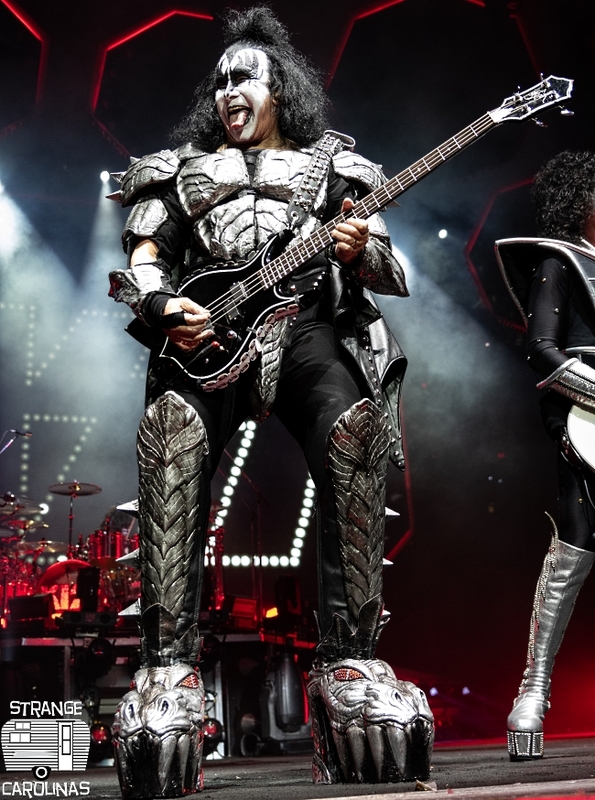 I was a huge KISS fan growing up. Destroyer was the first album I bought with my own my money as a kid. Pretty sure I dressed as Paul and then Gene for subsequent Halloweens. 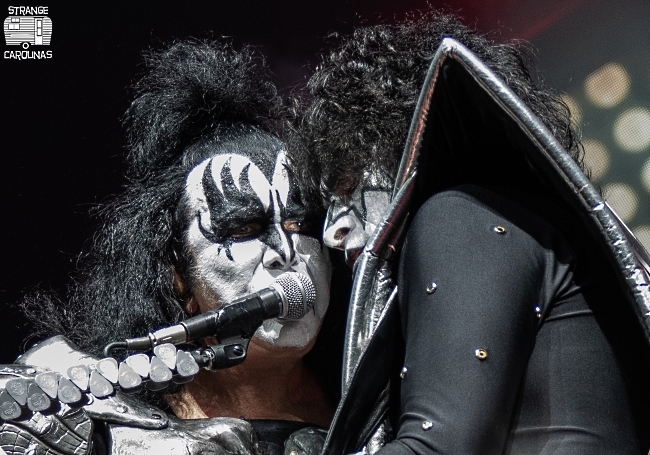 Heck, I even enjoyed KISS Meets The Phantom Of The Park. 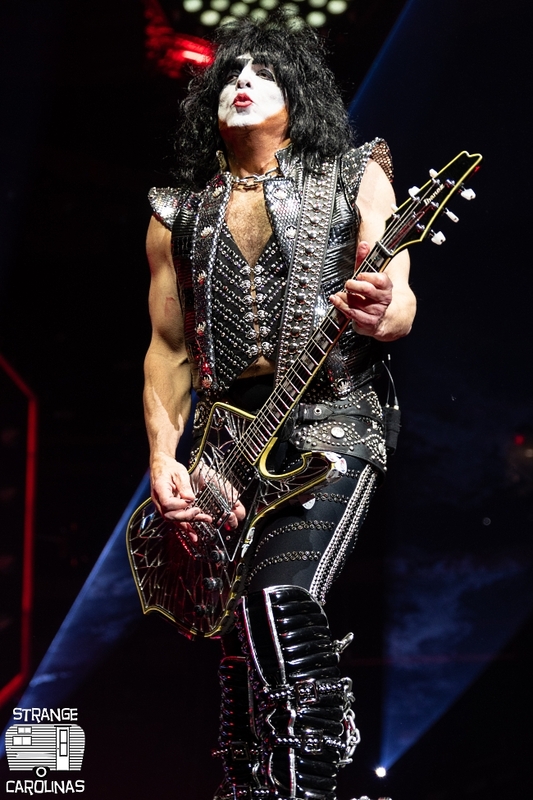 I was a superfan and like many members of the audience on Saturday night, KISS was a major part of my youth and there was no way I was going to miss the Raleigh date of their End Of The Road World Tour. 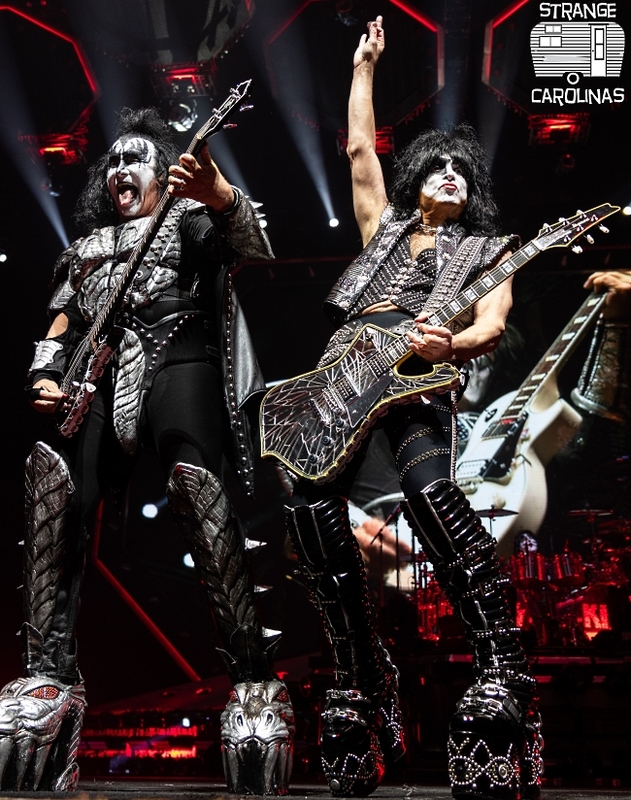 Raleigh's PNC Arena was packed and folks were there early. There were tons of Genes, Pauls, Aces, and Peters milling about the stadium, some looking so good that other fans asked for photographs. 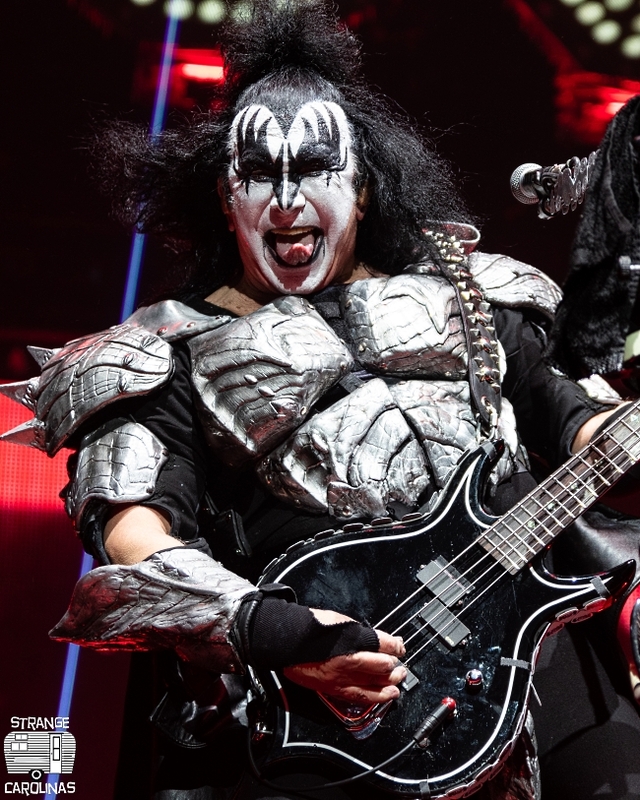 There was no opening act for the show because... really, does KISS need an opening act? 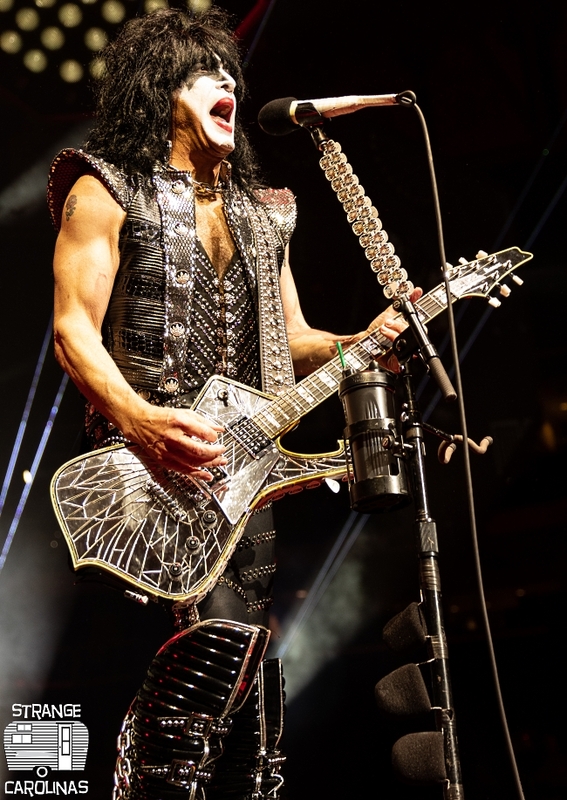 Instead, fans were treated to classic tracks by bands like Aerosmith, Motley Crue, Van Halen, and more to get them in the mood. Not that they needed any help. Everyone was ready. Everyone was in the mood. 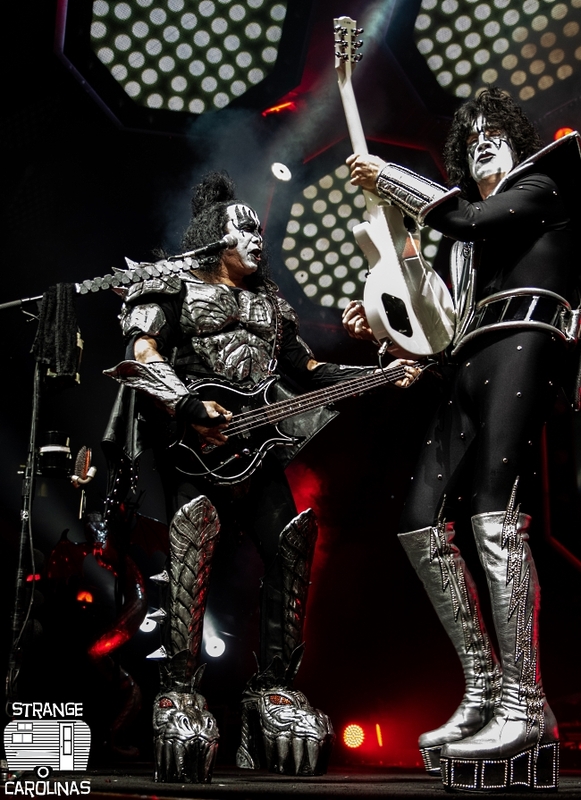 Finally, Led Zeppelin's "Rock And Roll" came over the speakers, the lights went down, and the guys from KISS, each on an individual mini-stage, floated down from the ceiling, bathed in a brilliant display of light. 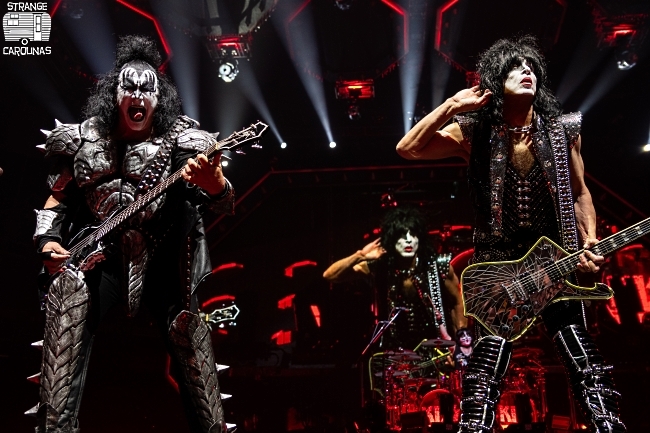 The band launched into "Detroit Rock City" and never looked back. "You want the best, you got the best," indeed! They sounded great. They looked great. They put on hell of show. Fireballs. Blood. Lasers. Solos. It was all there. 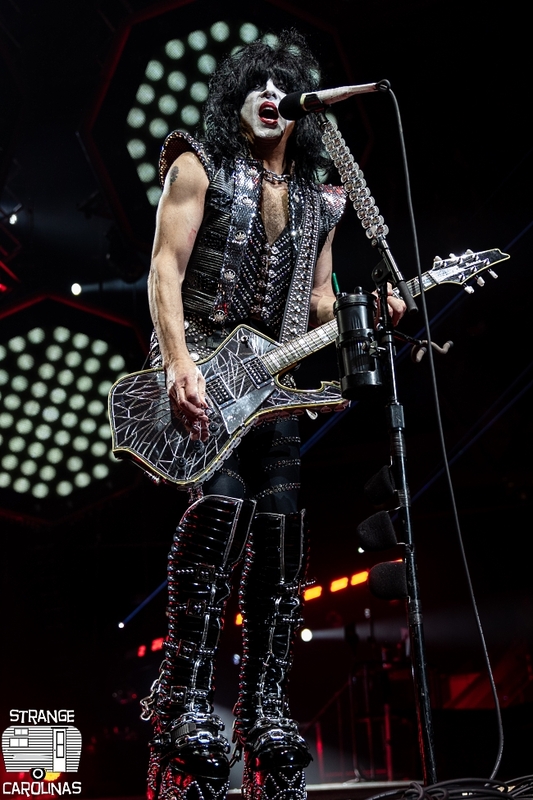 I can understand that KISS's music might not be everybody's cup of tea, but everyone should be able to find something to love in a KISS concert. 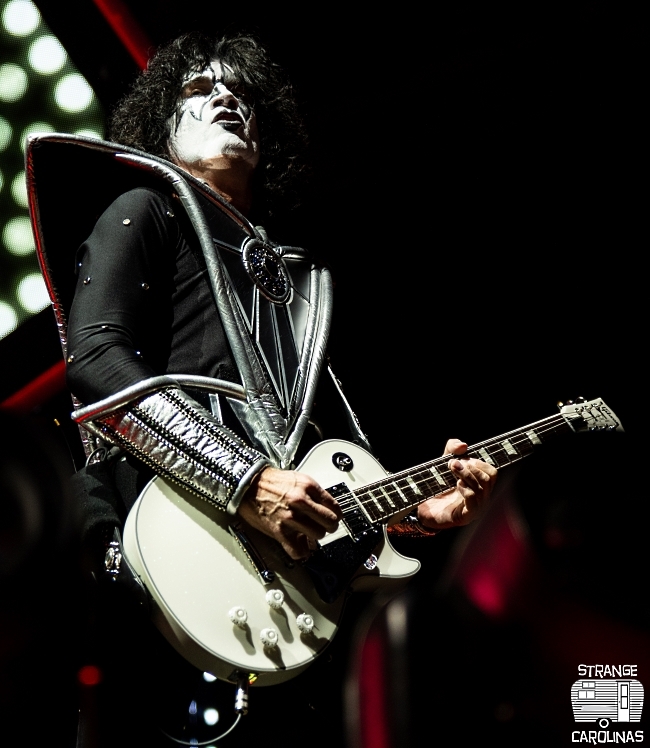 Tommy Thayer, donning Ace Frehley's Spaceman makeup and wardrobe, was amazing. 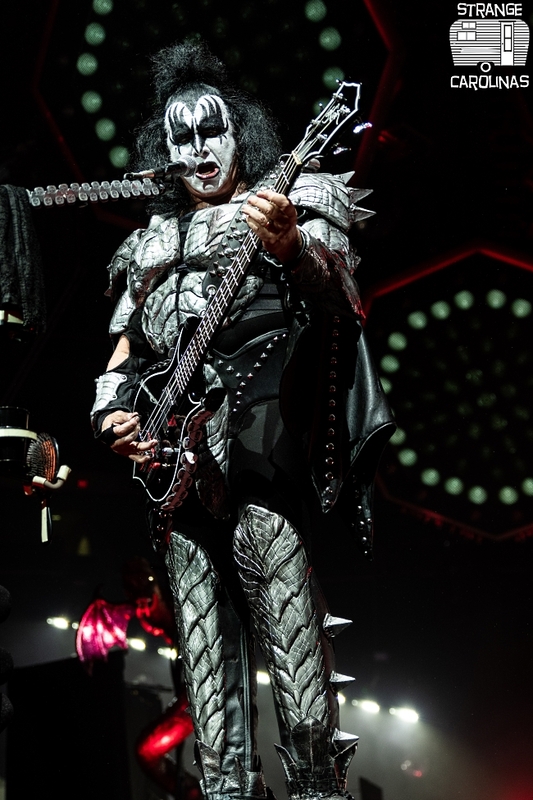 During his "Cold Gin" guitar solo, he played up the Spaceman persona as lasers blasted out of the head of his guitar, exploding the UFOs overhead. 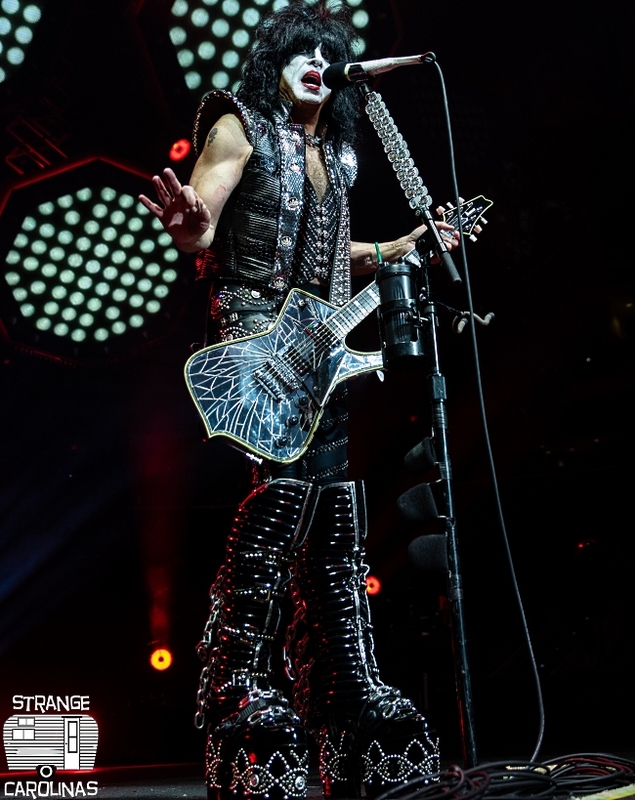 Eric Singer, who took took over the drum kit after the death of Eric Carr, pounded the crap out of the skins and did an amazing job playing and singing "Beth," the first encore song of the night. 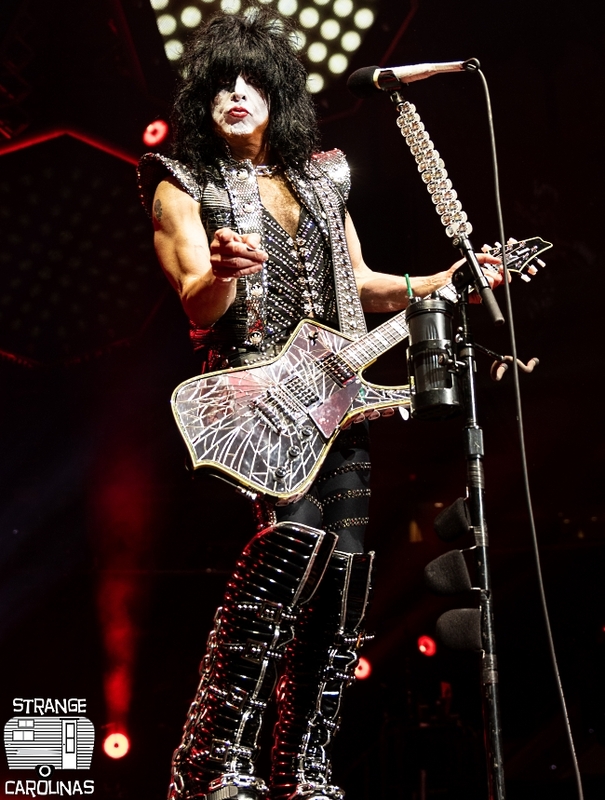 And of course, Paul Stanley and Gene Simmons played the crowd almost as well as their instruments, giving everyone what they came to see and hear. 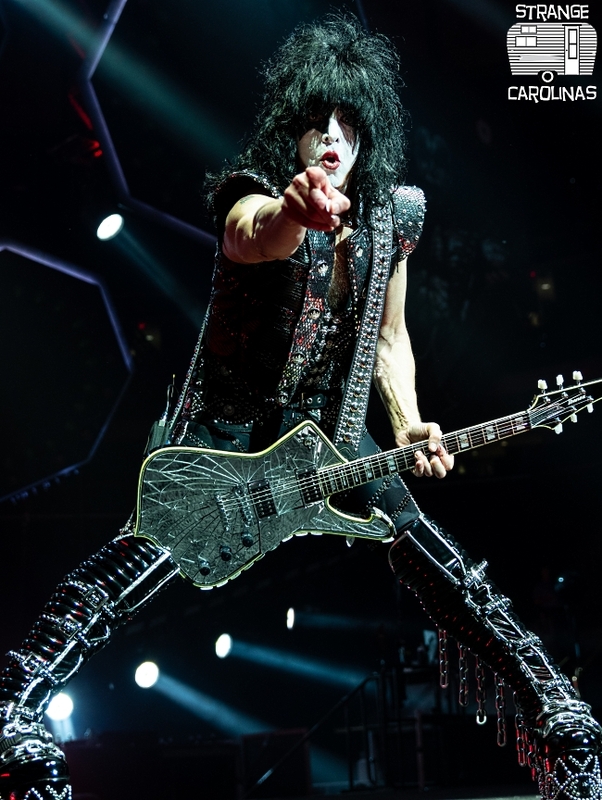 Gene spit blood, spit fire, flirted with the crowd, and sounded great. 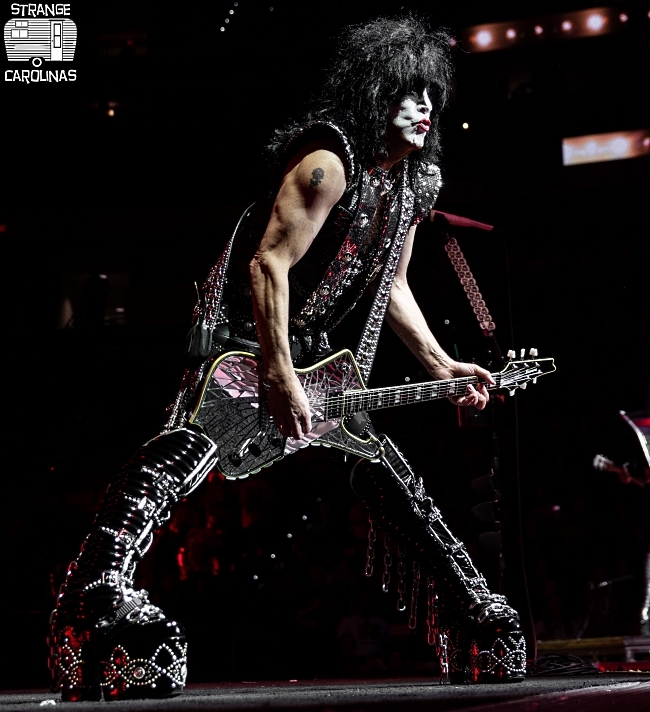 Paul sang and danced and strutted around like it was 1984 and he was shooting the video for "Heaven's On Fire." So the question remains... is this really the end of the road? Will this be their last tour? If so, they went out with one hell of a bang. 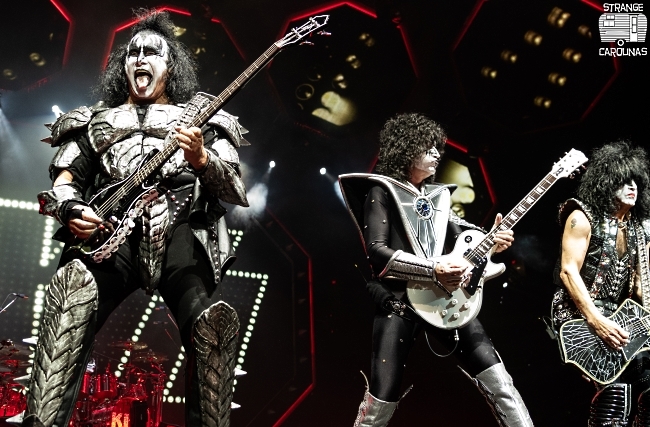 Either way, I'll be hitting at least one of their two tour stops in the Carolinas later this summer: August 8th at North Charleston Coliseum and at Charlotte's PNC Music Pavilion on August 10th.